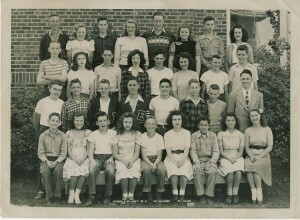 I’m partial to this photo, in part because my dad, Louie Mettler, is in it (far right, second row from the top). The sign at the kids’ feet reads: Eatonville Sch. 1946’7 Gr. 8 Mr. Gallagher Ray Fuller. I think I recognize a few others, like Frank Hoffman (far left, second row from the top). If you see yourself or others you know, speak up! 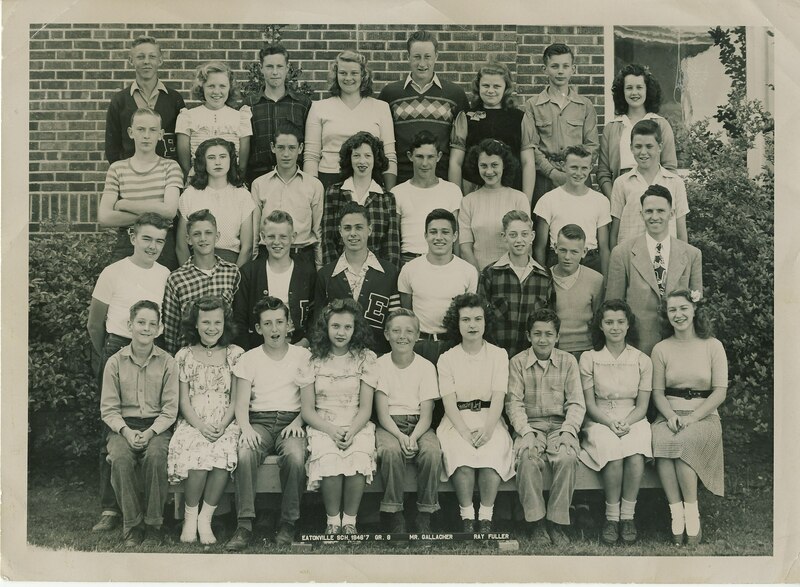 I believe that is my uncle, Tom Beane, the third row down from the top, and last on the left. He was the youngest of the 5 kids my Grandparents had. They all lived at clear lake,right next to the state strip boat launch. Rumor has it ,that my Grandad donated the land to the state to build the boat launch. All my aunts and uncles went to Eatonville School. Top row 5th from left Glenn Simmons. I recognize everyone, although I have forgotten some of the names, I am that chubby girl, third from the right in the top row.